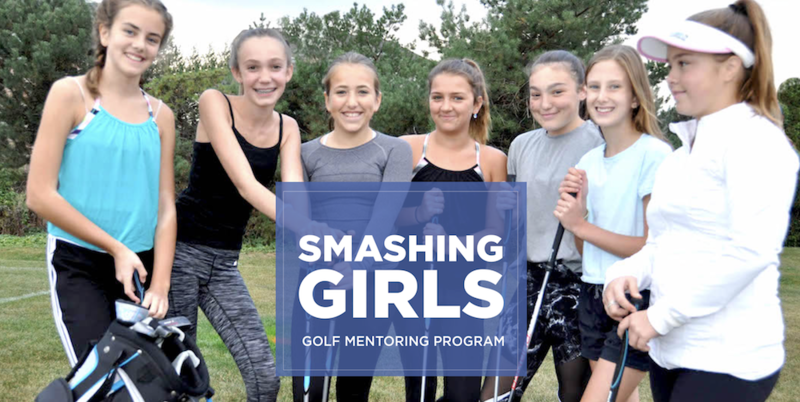 Smashing Girls is an innovative golf program designed to give girls aged 11-15 the opportunity to learn golf, meet successful women mentors and learn critical interpersonal skills. Its never to early to use golf to build confidence and relationships. Smashing Girls will teach golf fundamentals along with networking, relationship building and goal setting. The Smashing Girls program is rooted in a set of core values that is at the heart of the Smashing the Grass Ceiling brand and is representative of the positive behaviours and values connected with the game of golf. These values are woven through the teachings in the program and the mentors will reinforce these values when interacting with the girls. The mentors will help the girls connect these values to the game of golf and their daily lives. In 2012 the Population Council issued a report that found enhanced mentoring lessens the risks to girls’ health and well-being, and benefits their communities in three ways: providing heroes and models for young people; strengthening self-perception of older girls; and increasing women and girls’ social empowerment by challenging norms about the gender of leaders. Smashing Girls participants will gain skills and knowledge to help them have a positive approach to life’s challenges and opportunities. The girls will build confidence, strong interpersonal skills, resilience and the tools and strategies to set personal goals for school and life. We are set to launch the SMASHING GIRLS Golf Program in April 2018. My goal to have 12 girls participating in the program this year, in Burlington and Guelph, with the intention of expanding the program locally and rolling it out to other communities in 2018. The program will consist of 5 weeks of indoor instruction for the girls ( 1 hour sessions ) , led by a team of instructors and supported by me. Then the girls will head outside for 2 nine hole rounds of golf where they will be paired with you, their female business mentors from the community. The final component of the program will have each mentor playing with one of the girls in the golf tournament of their choice during the summer.